Good morning. 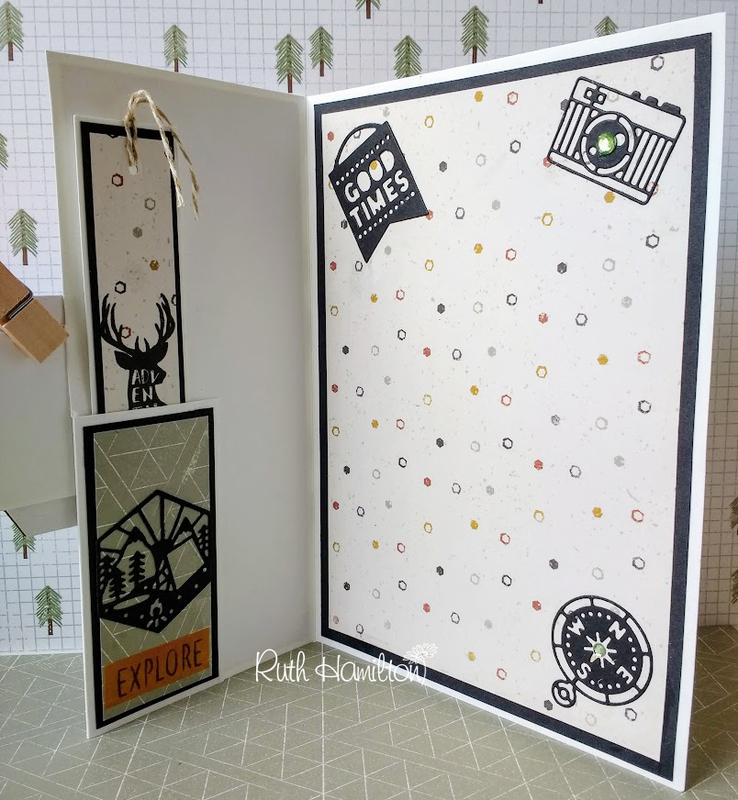 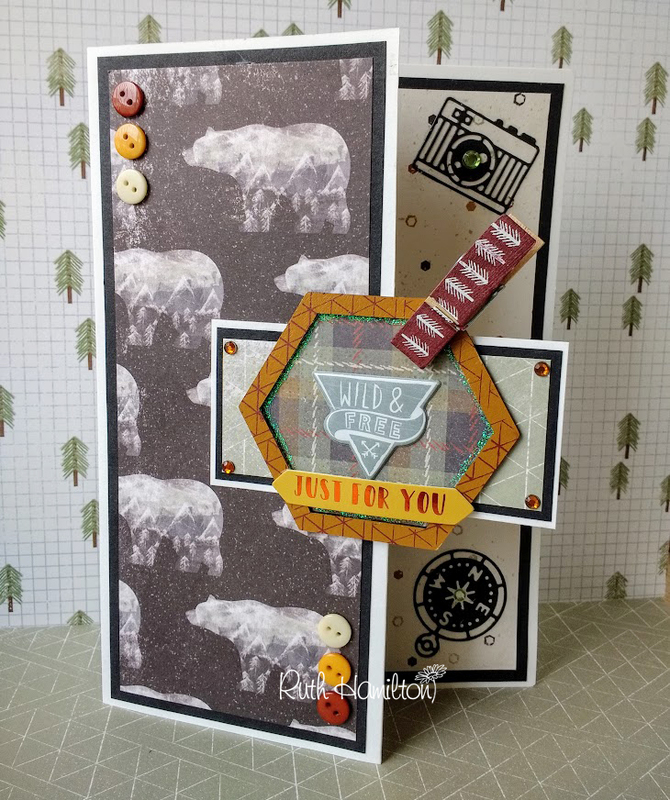 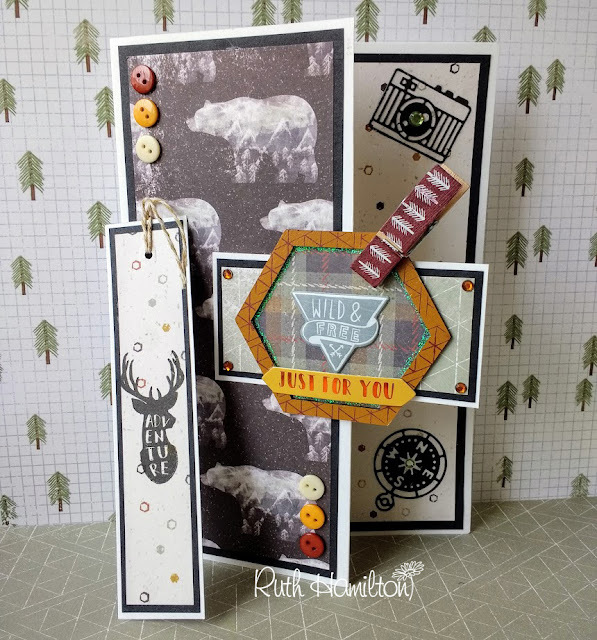 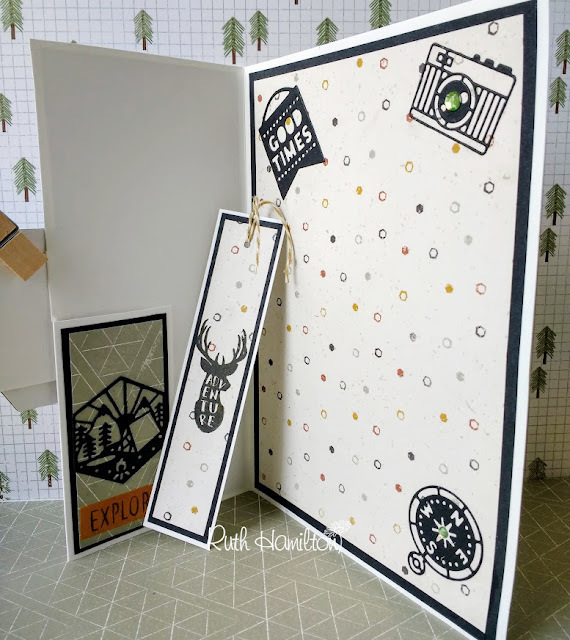 This is another card I made with the Dovecraft "Lost and Found" collection from Trimcraft. I scored and folded part of the front back, then trimmed to make a pocket for a matching bookmark.